Our signature Paul's ProShield Complete Pest Control service targets pest entry and exit points for maximum effectiveness. Sign Up For Paul's ProShield Complete Today and Save $50 on Initial Fee! How Does Paul's ProShield Complete treatment work? If you want total control against damage and discomfort from unwanted pests and termites, Paul’s ProShield Complete is your solution. This service powerfully combines our most complete pest management techniques with total termite control. We ensure the highest level of safety for your home or business while protecting it against future infestations. With ProShield Complete, your property stays fortified against pests year-round. ProShield Complete gets you maximum protection with minimum exposure. With quarterly services, Paul’s expert technicians utilize effective, eco-friendly management techniques to safeguard your property against pests crossing the threshold of your home or place of business. Service begins with an inspection of your home and property. Our teams have years of experience detecting, eliminating, and preventing pests. Every one of our treatments is tailored to your home’s unique needs to ensure perfect care. Indoor pests such as termites, fleas, ants, roaches, spiders, flies, silverfish, and more. Outdoor pests such as yellow jackets, wasps, and other stinging insects. Nests and webs in and around your home. ProShield Complete also includes total protection against termites. Our termite experts use the Sentricon Colony Elimination System, a proven treatment that eliminates the entire colony, using science and strategy instead of liquid chemical materials and methods. 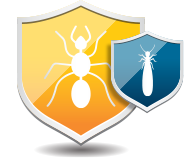 Once we’ve confirmed your property is in the clear from existing attacks, this system also acts to monitor and prevent termites 24/7 throughout the year, so you don’t have to! Paul’s ProShield Complete is an especially beneficial option for homeowners and property managers seeking to provide an added layer of protection and security to their visitors, pets, and loved ones. Since our 1971 establishment, our mission has been you: the homeowner, property manager, or business owner seeking complete relief from pests. We employ the best materials and methods to deliver on this mission. We’re passionate about our craft and passionate about helping you live a pest-free life. That’s why we’ll work until you’re completely satisfied with the results of your ProShield Complete package. We guarantee it by providing retreatments at no additional charge in the small chance that our original treatment was not 100% successful. Don’t wait to protect your loved ones against pests and your property against costly damage from fast-moving termites. Ensure your home is protected in every season with eco-friendly methods that offer the highest level of safety employed by Florida’s most experienced and courteous teams. Call 850-222-6808 or send our FREE quote request form to start protecting your home and family today!